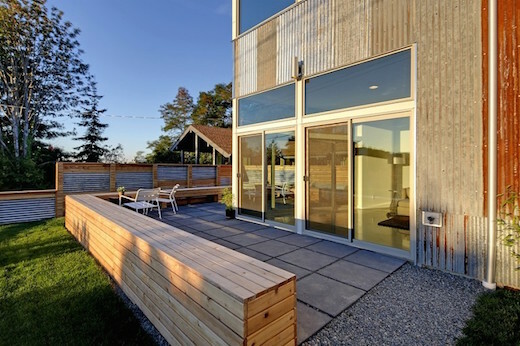 A home that comes close to being Net Zero is highly sustainable just based on that alone, but Reclaimed Modern house designed by architecture firm Dwell Developments goes a step further, as it is also constructed from reclaimed wood, concrete and metal. It is located in the Columbia City area of Seattle, Washington. 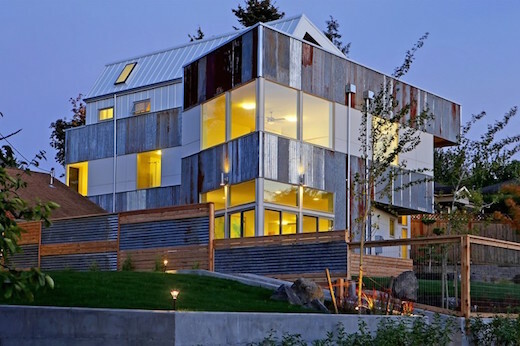 The Reclaimed Modern home measures 3,140 square feet (290 square meters), has four bedrooms, a separate garage, and a spacious rooftop deck. It was built primarily from materials with a high amount of recycled content, while they also reused lots of materials collected from demolition sites of older buildings. 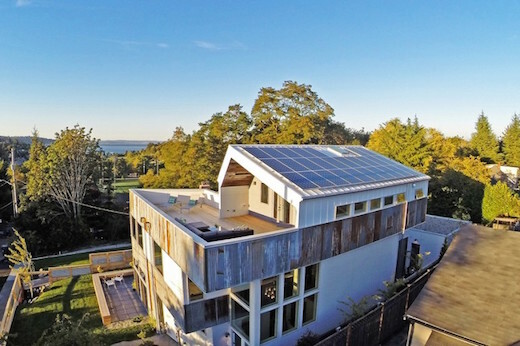 Reclaimed Modern home is fitted with a 7.29 kW rooftop mounted solar array, which the designers hoped would be enough to give this home a net zero level of energy consumption. Since it has only been lived in for a short time, there is no actual data to show whether they have succeeded. 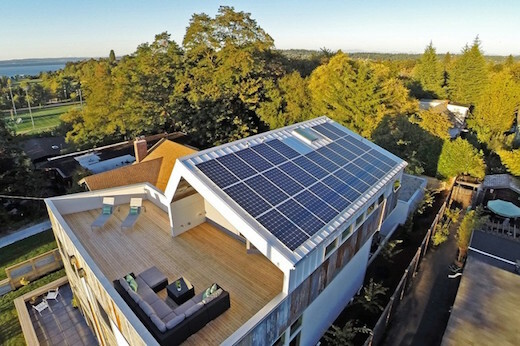 But the home has a HERS score of 15, which is excellent and the designers are also planning on adding another 4 kW of solar panels , which should bring this score to 0. 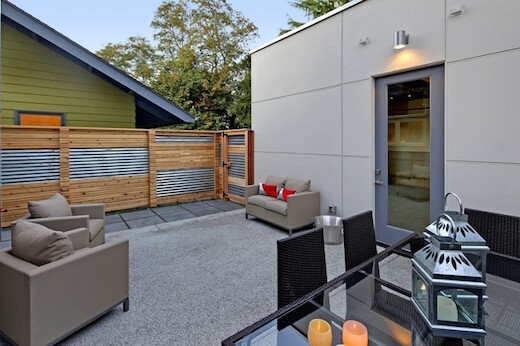 The builders also applied Enviro-Dri coating to the exterior of the home, which forms a weather-resistant barrier and seals the building against moisture. The home was also fitted with triple-glazed windows, while a blower test revealed wall airtightness to be at 2.5 at 50. The house took nine months to complete and was finished in October 2014.